﻿ At new seaside park, landscaping becomes the playground | Los Angeles Flow Project L.A. 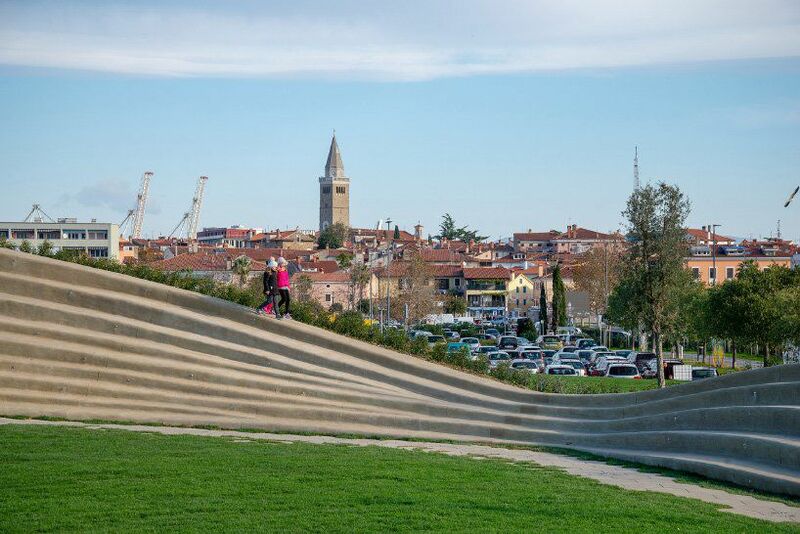 The undulating hills in a new seaside park in Koper, Slovenia, aren’t just pretty landscaping—they’re the infrastructure for the park itself. Slovenian architecture studio Enota designed the 278,000-square-foot park as a sprawling recreation space for the old port city. 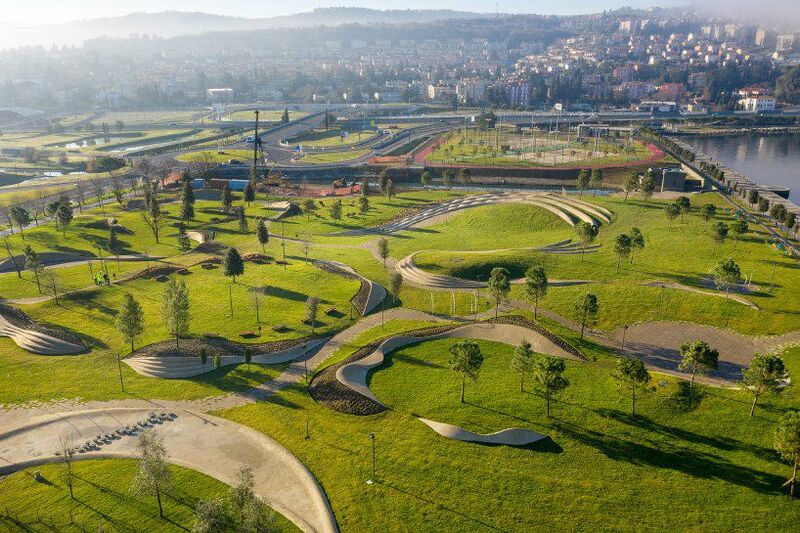 Instead of programming the park with playgrounds and buildings, Enota embraced the land’s topography and constructed a series of undulating concrete structures that divide the park into different pockets. From above, the concrete forms almost look like Brutalist crop circles. They cut into the land creating amphitheater seating; they slope upwards, allowing space for raised planters that shield people from the noise and bustle of the city. Plants flank the concrete, creating a vivid contrast between nature and fabricated features. Paved pathways snake around the green space leading to a seaside bar and concert venue, but for the most part, the park’s man-made elements are remarkably, blissfully unprescribed and open to imagination.